One of the greatest assets to any company is its employees. As a business owner, you count on them for service, special skills and knowledge to help progress your business. It is important that as the employer they can count on you to take care if them if an accident happens with adequate Workers Compensation Insurance coverage. Workers Comp is compulsory in the state of Florida, and in most cases, mandatory by law. Failure to carry or meet state regulations as far as workers compensation insurance is concerned can result in not only having to pay benefits out of pocket, but penalties levied to the state of Florida as well. Workers compensation insurance may be provided by a private insurance carrier, or depending on the size of the business, may opt to self insure. Gould has been providing workers comp insurance services to Florida business owners for over 100 years. When it comes to finding competitive workers compensation insurance look no further than Gould. As an independent workers comp insurance agency we present a clear advantage over the competition. This means more often than not we are able to find you the best coverage for your specific needs at the best price. Every business is different. With that being said, it is important to speak with someone experienced in the field. 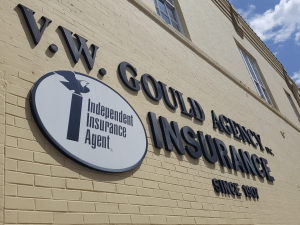 At Gould we have over 100 years of workers comp insurance experience. At Gould we understand that every business is different. As an independent agency we are able to survey the entire workers comp insurance market and tailor a policy that is tailored to your specific needs. Are you workers comp exempt? There are certain instances that you as a business owner are exempt from workers comp insurance coverage. If your business has fewer than four employees you may be exempt from the workers comp act. As far as domestic servants are concerned (such as a house maid) employers may provide voluntary workers comp coverage. If you are unsure whether you are workers comp exempt or not it is important to speak with someone knowledgeable in the field to be sure as to whether you are exempt or not. When it comes to finding competitive workers compensation insurance in the State of Florida look no further than Gould.